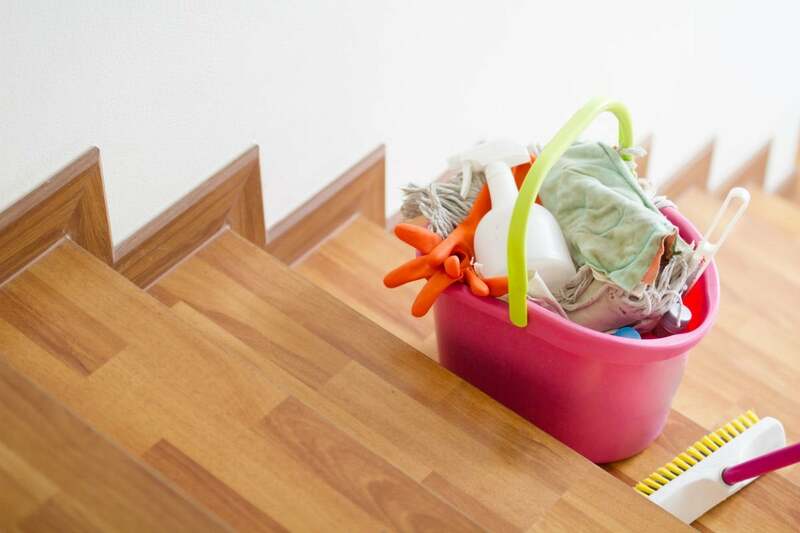 Make dingy hardwood floors dazzle with one of these top-rated cleaners. Hardwood floors are hailed for their natural beauty, but they require varying degrees of attention to maintain these good looks, depending on the finish. Floors with penetrating finishes (that soak into the wood) and wax top coats (which protect the finish) can be quite a chore to maintain because they easily absorb water and require solvent-based cleansers only—one reason many people opt for surface-sealed wood floors instead. These other hardwood floors all have polyurethane, urethane, or other finishes to form a protective waterproof barrier and protect from light scratches and dents, and their regular cleaning is much easier to get right because of the wider variety of cleansers that can be used. What Makes a Great Hardwood Floor Cleaner? Factor in these features as you read labels of hardwood floor cleaners. Gentle ingredients. Look for non-corrosive ingredients like water, weak acids such as citric acid or hydrogen peroxide, or weak bases such as sodium bicarbonate. Avoid products containing strong acids or bases, such as nitric acid or sodium hydroxide, which can strip the finish of surface-sealed floors. Also avoid hardwood floor cleaners containing oil, which can leave a sticky residue, or wax, which can dull the floor finish and leave it slippery. 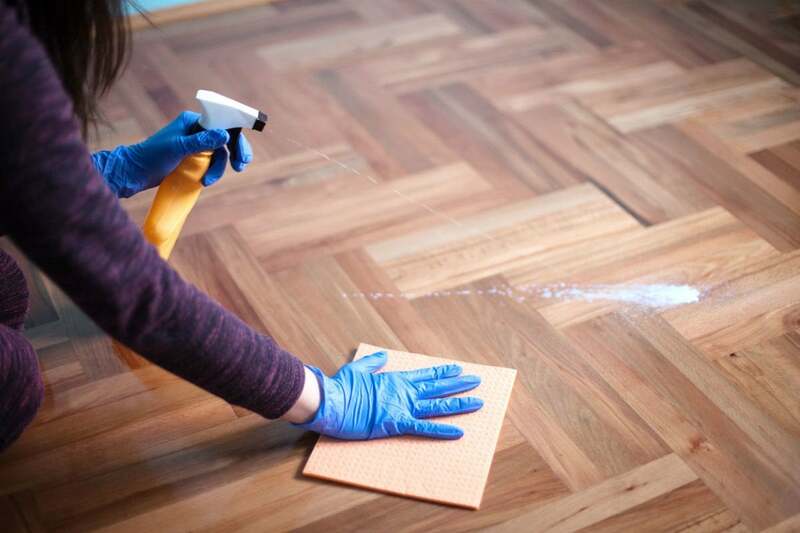 Complete hardwood floor cleaners can be applied to the floor straight out of the bottle because they contain all the necessary ingredients pre-mixed. They minimize overall time and effort, so great for everyday or last-minute cleaning jobs. Floor cleaner concentrate products contain a potent cleaning fluid that must be diluted in water specified per product instructions before use. While they take more time to prepare, they let you adjust the potency (and pungency) by adding more or less water. Spray bottles feature a built-in trigger that dispenses a fine mist of cleaning solution onto the floor. You then either wipe down or mop the floor, which makes this packaging option good for spot cleaning or cleaning small areas. 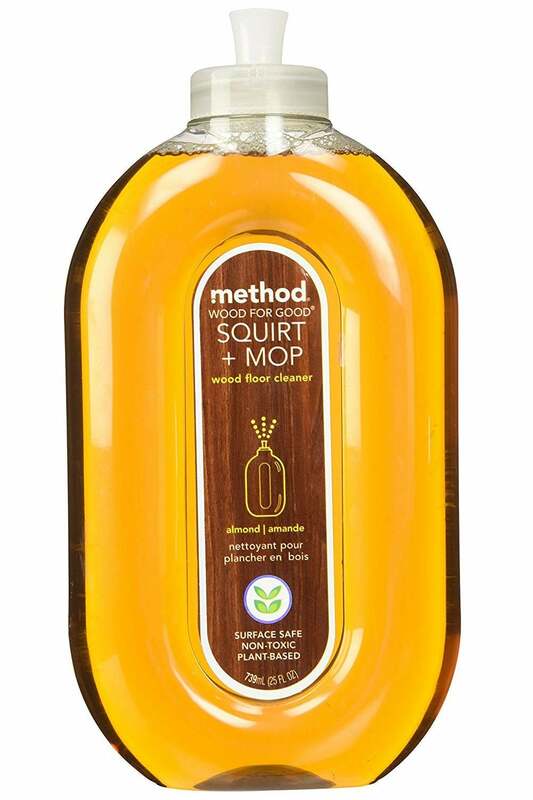 Squirt bottles dispense a small pool of cleaner onto the floor, which can then be mopped. This option is versatile enough to use on small or large floor areas. Refill bottles contain larger quantities, which you can pour into either a spray bottle or the fluid cartridge of a reusable spray mop. Avoid pouring cleaner from refill bottles directly onto the floor, because it’s easy to accidentally dispense more than intended—potentially causing floors to absorb the fluid and swell. This is the best option for larger cleaning jobs of one or more floors. Our top picks wiped the floor with the competition by satisfying both the above criteria and real customers who use them. Ban grit and grime from wood floors without breaking the bank with this hardwood floor cleaner rated 4.4 out of five stars based more than 570 Amazon reviews. Boasting a plant-based biodegradable formula featuring sodium bicarbonate, the non-toxic complete cleaner is as good for your home environment as it is for your wallet. To use, simply squeeze a small amount from the squirt bottle and mop it up—no rinsing required. The ergonomically designed nozzle ensures that the cleaner covers your entire floor in a few squirts without forming puddles that would waste the product. 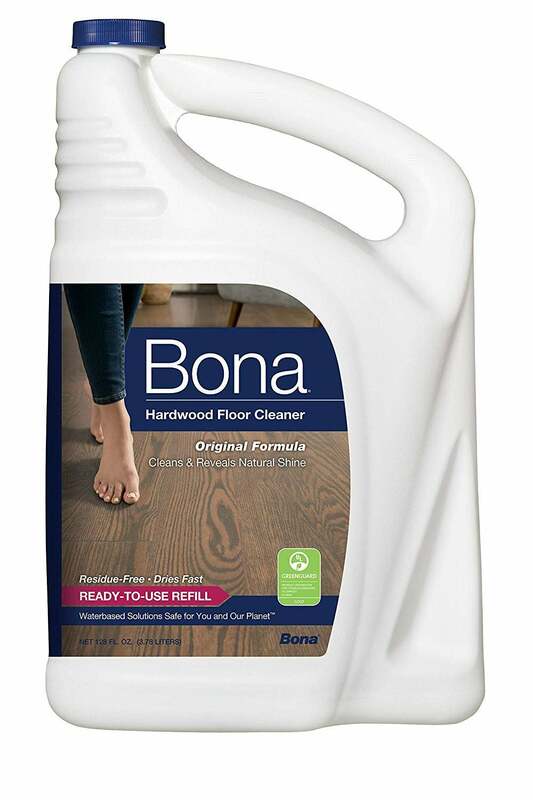 When you’ve got a lot of floor space to clean, load Bona into the fluid cartridge of your spray mop and be on your way to spotless floors. The wax- and oil-free complete cleaner containing floor-friendly ingredients like water, citric acid, and hydrogen peroxide handily removes dust, dirt, and grime. After mopping, there’s no need to rinse any remaining cleaner; it will dry without leaving residue—just one reason why it earns 4.5 out of five stars based on over 1,100 Amazon customers. 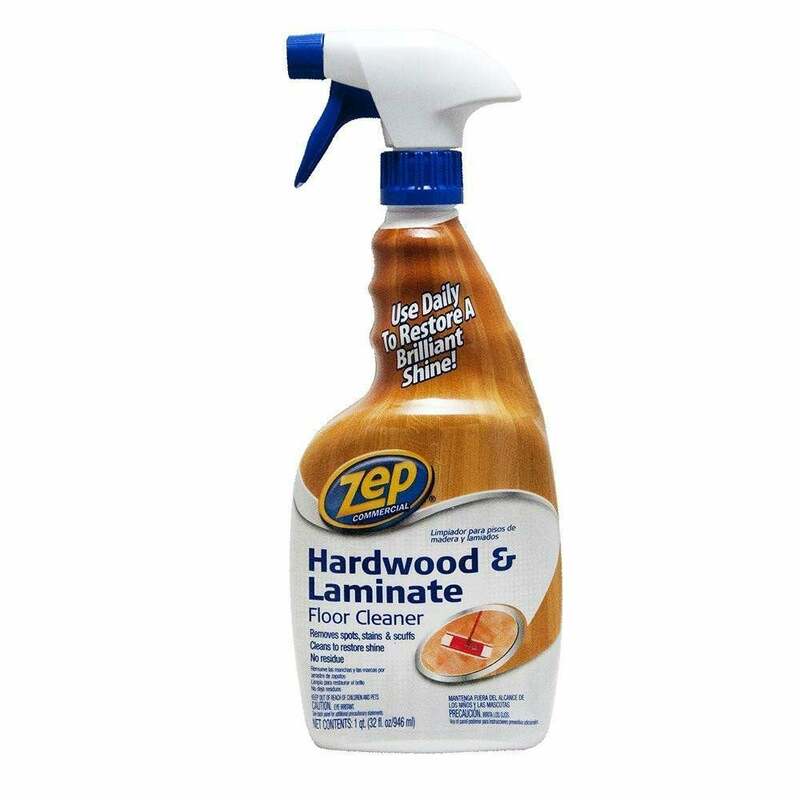 For spot cleaning, leave the mop in the closet and grab a microfiber cloth and this small spray bottle of complete hardwood floor cleaner. Made with water and biodegradable surfactants, the eco-friendly and hypoallergenic cleaner that scores 4.1 out of five stars on Amazon can remove food and drink spills, dirt, dust, and foot- or fingerprints with spray-and-wipe simplicity. And thanks to an additive dubbed “triple-action poly shield,” the cleaner promises a streak-free clean that keeps new debris from sticking to the surface to reduce cleanup effort in the future. Amazon customers rate this complete cleaner 4.3 out of five stars for restoring even heavily dirt-laden and discolored floors to pristine condition. Made with water, surfactants, and methanol, the pro-grade hardwood floor cleaner is strong enough to eliminate spots, stains, and scuff marks caused by food spills and pet accidents alike. Simply sweep or vacuum the floor, spray down the stained area, wipe or mop, and then dry-wipe or mop the wet surface. Whatever liquid is left will dry quickly, so there’s no reason to rinse. 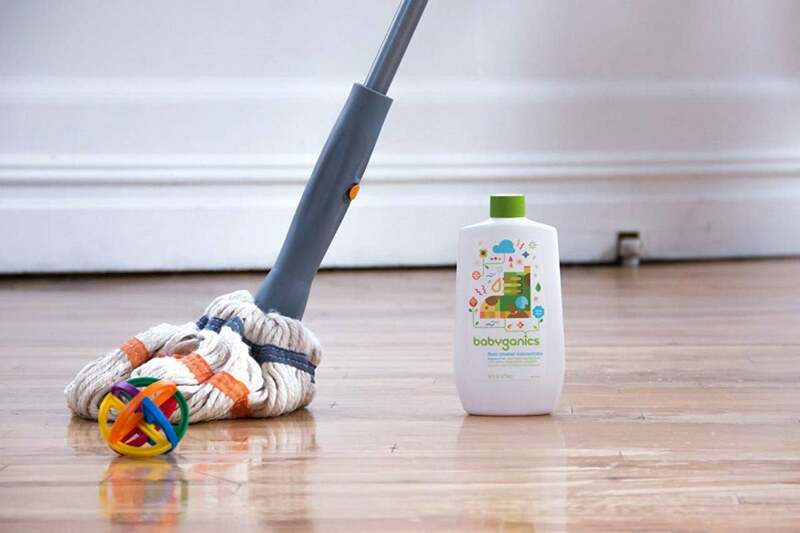 Rated an “A+” by the Environmental Working Group—and netting 4.2 out of 5 stars on Amazon—Babyganics is tough enough to lift dirt and grime without aggravating allergies or irritating tots, pets, or those with odor sensitivities. The plant-based, fragrance-free, pediatrician- and dermatologist-recommended concentrate features gentle ingredients like water and potassium cocoate for floors that are clean and green. To use, dilute one ounce of concentrate into a half gallon of water, stir, and mop, then allow to dry without rinsing.